Friend and fellow CEO Trustee Joe Tait passed away in March of this year. He was a husband, father, brother, son, and friend to many. The entire Tait family appreciates all the support, outreach, and offers to help. Joe loved helping people. He was an avid networker and mentor. He made time for everyone, but he especially loved helping students. Joe’s family feels the best way to keep his memory alive is to continue helping and mentoring students. 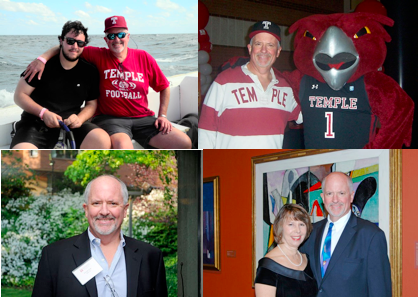 They have established the Joe Tait Networking Fund through Temple University which will go directly toward mentoring students and helping them network with alumni and area professionals. If we all do our part toward helping students, we might just equal the work Joe would have done. You may also donate through the CEO Trust. Simply go to donate on the site. That will make CEO Trust's donation more impactful. We will combine your donation with previously received donations and submit to the fund before the end of October. One of the things CEO Trust speaker Sydney Finkelstein learned about great leaders while researching his latest book Superbosses is how they are very particular in what they’re looking for when they hire talent. According to Sydney (Steven Roth Professor of Management and Faculty Director, Tuck Center for Leadership at the Tuck School of Business at Dartmouth College), working for a superboss is one of the best ways to turbo-charge your career, so it’s worth paying attention. And not just for CEOs, but for your kids, students, mentees... anyone trying to figure out what it takes to get a great job. His new BBC column outlines the three traits you’ll need to get hired by the best bosses. Read Sydney's new BBC column here. The Philadelphia chapter of the CEO Trust held a terrific breakfast event on March 22nd, hosted at the Clemens Food Group in Hatfield, PA, in their high tech Customer Experience Center. Participants enjoyed a private culinary breakfast along with a compelling presentation by Dr. Sydney Finklestein, Steven Roth Professor of Management in Dartmouth’s Tuck School of Business and the author of Superbosses. Sydney addressed a group of some 25 Trust members and employees of the Clemens organization, focusing on why a very select group of high profile CEOS tend to spin out more talent than all the other CEOs in a given industry. His groundbreaking studies have shown time and again that these Superbosses have a common set of characteristics that drive the highest levels of motivation and performance in those within their direct sphere of influence, and he conveyed a few wonderful stories to demonstrate this thinking. In the fashion industry for example, Sydney talked about an evening where one executive and his colleagues were dining out, and one of the members started up a discussion with three women at another table. The executive began to ask one of the women a series of questions about her rather unique (and attractive) attire, and at the conclusion of this particular executive’s dinner, he walked over to her table and offered her a job. He then handed her his business card and she was stunned to see that she had been talking with Ralph Lauren. Superbosses are always-on talent spotters - they don’t follow convention, they act. In another example, Sydney described how the leader of one of industries largest investment funds, Julian Robertson, motivated his team. When one of Robertson’s particularly hyper-competitive and young rising stars closed a multi-million dollar deal, the young star expected immediate and enthusiastic praise from Robertson. When that didn’t come for days, the rising star became frustrated until finally several days later, Robertson walked by his cubicle and gave him a very subtle “nod” as he walked by. This infuriated the young star who vowed to “show” Robertson that he could do more. Robertson understood precisely how to motivate this young star and he understood the value of adjusting his interactions with his other employees to accommodate their passion and style. Needless to say, Robertson has spun off countless stars. 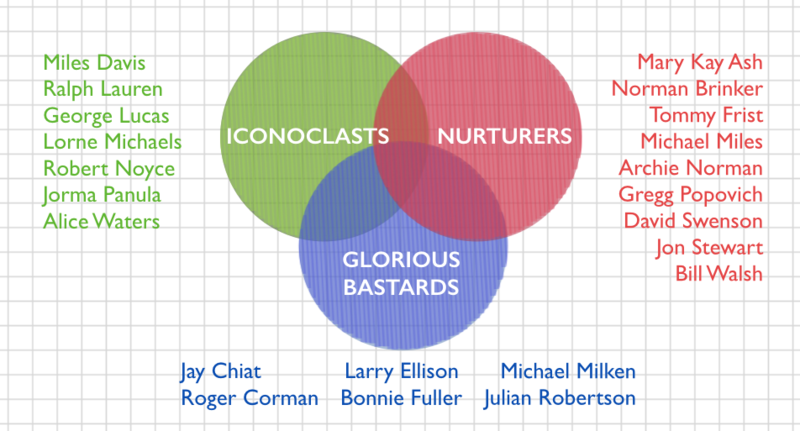 Sydney categorizes Superbosses into three primary categories: Iconoclasts (single-minded passion that motivates others - think Ralph Lauren), Nurturers (coaches, teachers, mentors - think Mary Kay Ash), and Glorious Bastards (single-minded focus on winning - think Larry Ellison). Do you know one of these types? Ironically, the location for the event was totally appropriate given that another Superboss is Phil Clemens himself, the Chairman of the Clemens Family Corporation. He has a long history of developing not only a world class business, but also world class leaders, while exemplifying the characteristics of a servant leader. The business is one of the nation's oldest family-owned marketers of value-added pork products and related customer solutions. Sitting in their Customer Experience Center, it was easy to see that Phil and his team “get it”. The group enjoyed a lively Q&A session with Sydney and received an autographed copy of his book. Can’t wait to read it cover to cover! Special thanks goes to our gracious host, the Clemens Food Group, for welcoming us to their site. by Challenger, Gray & Christmas, Inc.
Relocation among job seekers, which reached a post-recession high in the second half of 2014, fell back down to Earth in 2015 as widespread economic improvements reduced the need to move for employment opportunities. The latest data on relocation rates shows that, on average, 11 percent of those finding employment each quarter moved for the new position. The data released Tuesday by global outplacement consultancy Challenger, Gray & Christmas, Inc. is based on a quarterly survey of approximately 1,000 individuals completing the job search. Last year’s relocation rate was down from a four-quarter average of 13 percent in 2014 and 2013. Relocation reached a post-recession high in the second half of 2014, as 15 percent of job seekers pulled up stakes for new opportunities during the final two quarters of the year. “It is typical to see these small windows of relocation surges. They tend to occur at the beginning of recessions and then again as the economy moves from recovery to expansion,” said John A. Challenger, chief executive officer of Challenger, Gray & Christmas. “Last year definitely marked a turning point in the recovery. We finally regained all of the jobs lost as a result of the 2008-2009 recession and, by the end of the year, the national unemployment rate fell to 5.0 percent. Even with the struggles in the oil industry, the number of metropolitan areas throughout the country with unemployment rates below the national average continued to grow,” said Challenger. It is with great sorrow that I announce the sudden passing yesterday of long-time CEO Trustee Joseph Tait. Joe joined CEO Trust pre-launch of the Philadelphia Chapter and was a key founding contributor. He has served in many leadership roles in the CEO Trust: Membership Chair, Program Chair and Board Member in both Philadelphia and Connecticut Chapters. Joe has been a CIO for a number of interesting and challenging companies over the past 15+ years. Most recently, he was CIO of Lydall, Inc., a global manufacturer located in Manchester, CT. Joe commuted weekly between his office and his home in the Philadelphia area. Many of us saw him at last week's Google training in Orange, CT. With his usual consideration, Joe wrote an email the next day to say what a fantastic program it was, and how much he enjoyed and appreciated the evening and the fellow CEO Trustees he saw. Joe was a great friend, colleague, and mentor. He cared deeply about CEO Trust, nominated many new members and Chaired many programs. He exemplified the generosity of spirit that our organization represents. He was active in TENG and SIM, helping up-and-coming technology executives. He volunteered at his alma mater Temple and Drexel. Joe is survived by his wife Joan and his son Josh, who is an IT professional. A funeral mass will be held on Wednesday morning. We will miss Joe. Those of us who met Joe were fortunate to have known such a fine man. I am grateful for that. UPDATE: There will be a celebration of Joe's life this Tuesday evening, March 22nd at the Simeone Automotive Museum (http://www.simeonemuseum.org/) in Philadelphia from 6pm to 9pm. All are welcome to stop by, greet Joe’s family, share stories with friends, and celebrate Joe's incredible and very full life. Wednesday, March 23rd at 10:30 am a full funeral mass will be held in Joe’s honor at St. Alphonsus Church, 33 Conwell Drive, Maple Glen, PA, 19002. We had a terrific event at Race Brook Country Club in CT on March 9th, with good food & drink and a terrific speaker. Julie Murphy, founder of Oakwood Leadership, spoke to around 30 guests about the Search Inside Yourself leadership program developed at Google and backed by neuroscience. The interactive session looked at the impact of meditation & mindfulness and how organizations of all types are using these techniques to improve productivity and bottom line results. The results at companies like Google, Ford, and Genentech where it has been strongly adopted are impressive and really moved the needle! Studies repeatedly show that emotional intelligence is a strong determinant of successful leadership. Gallup Polls on work engagement show that 70% of all American workers are not engaged, and only 22% are both engaged and thriving. Special thanks to our event co-sponsors, Charland Growth Advisors and Brody Wilkson, PC. CEO Trust speaker, bestselling author Sydney Finkelstein, a Steven Roth Professor of Management, and Faculty Director, Tuck Executive Program (TEP), at Tuck Center for Leadership at Dartmouth, was recently featured on Fortune.com discussing his latest book, "SUPERBOSSES: How Exceptional Leaders Master the Flow of Talent." 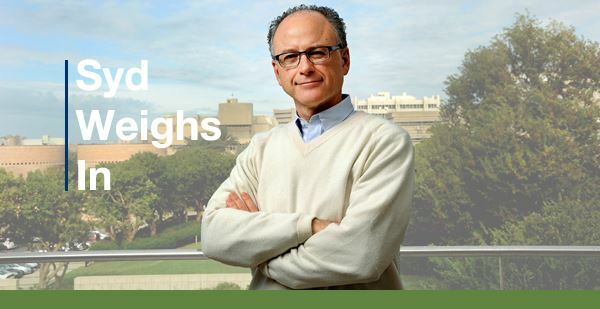 On March 22, Professor Finkelstein will share with The CEO Trust the secrets of what makes a “superboss,” and describe how we can emulate the best tactics of superbosses. Watch the Fortune.com video interview and read the full article here. 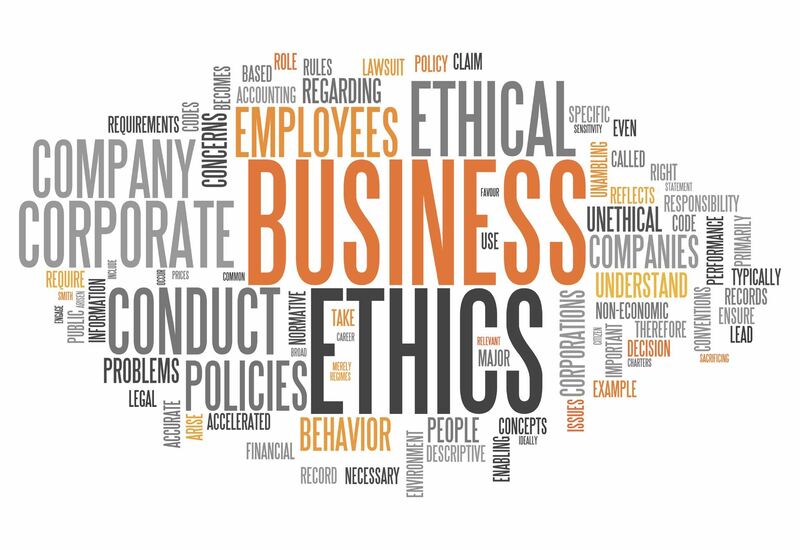 Click the following chapter names for details and registration information for CEO Trust’s Greater Philadelphia and New York City chapter events. PA Chapter Meets Bestselling Author & CEO Robin Koval to Discuss her Book "Grit to Great"
On February 17, CEO Trust's PA Chapter met best selling author, and CEO & President at Truth Initiative, Robin Koval to discuss her book "Grit to Great – How Perseverance, Passion, and Pluck Take You From Ordinary To Extraordinary." Robin led a lively discussion on research that shows the single biggest predictor of future achievement is the character trait of grit - a combination of guts, resilience, initiative and tenacity. Robin talked about how important it is to be focused on recruiting a staff with Grit. 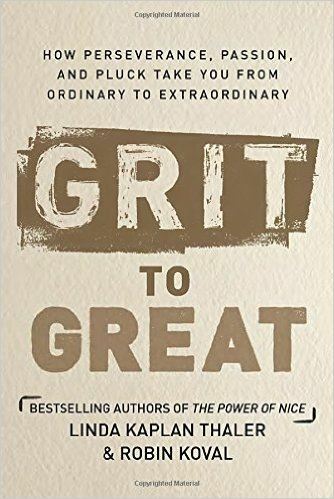 We discussed some of the characteristics of people with Grit, including: they are not afraid of risk and failures; they don’t mind doing several jobs; they are "nice." Robin also pointed out that a team with Grit will genuinely like each other, and gave examples why that was a great competitive advantage. All participants were treated to their own complimentary copy of Robin’s book, which she signed and personalized for all. The breakfast event was hosted by Storeroom Solutions.